*4K: XAVC-Long 4:2:0 8-bit, HD: XAVC 4:2:2 10-bit. Sony has temporarily suspended the new firmware updates for PXW-FS5 and PXW-Z150 due to a minor issue found during testing within the HDR function in the Picture Profile menu. These will be fixed in a new firmware version, v4.01 for the PXW-FS5 and v2.01 for the PXW-Z150, which will be released in the coming weeks. If the most recent firmware version has already been downloaded we advise to download v4.01 or v2.01 as soon as it becomes available. If there are any further questions please contact the Prime Support team on 00800 7898 7898 and they will be happy to answer your questions. There is no need to panic if you installed the latest version. Cinema5d found out that the problem is an isolated bug “these issues only occur in specific applications of HLG in HD shooting modes”, so it should be easy to avoid the problem until the update is released in August. 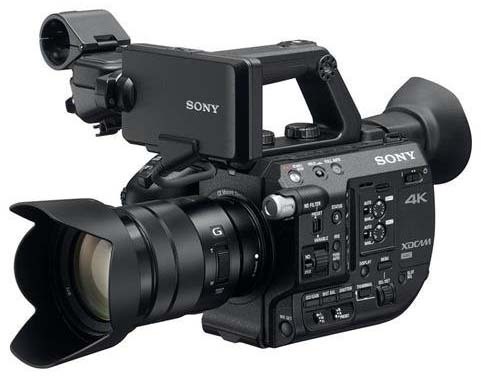 This entry was posted in Firmware updates, Video and tagged Sony FS5. Bookmark the permalink. Trackbacks are closed, but you can post a comment.